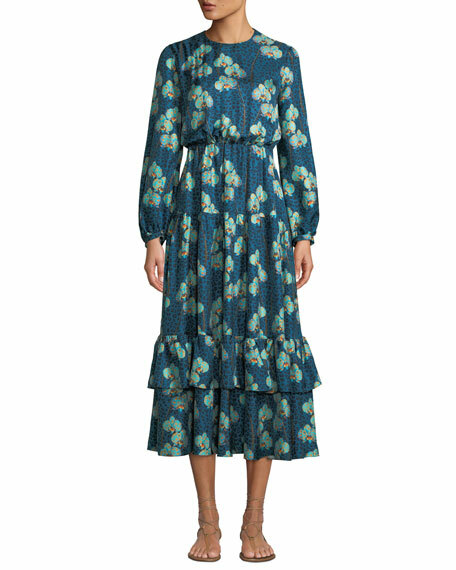 Oscar de la Renta cocktail dress in patchwork silk, featuring fringe trim. Self-tie at waist with tassel accent. For in-store inquiries, use sku #2890280. A.L.C. "Isobel" dress in silk. Spread collar; surplice neckline. Long sleeves; button cuffs. Yoke seamed back. Drawstring waist. Easy fit. Slipover style. Silk. Imported. 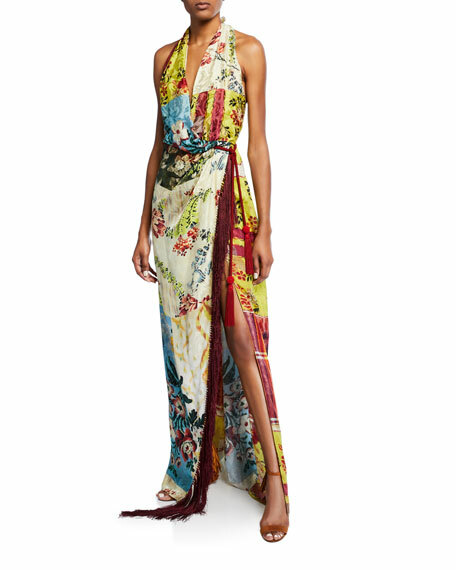 Borgo de Nor "Augustina" silk twill dress with leopard & orchid print. Jewel neckline. Long sleeves. Blouson top. Tiered bottom. Hidden back zip. Maxi length. Lining, polyester. Made in UK. 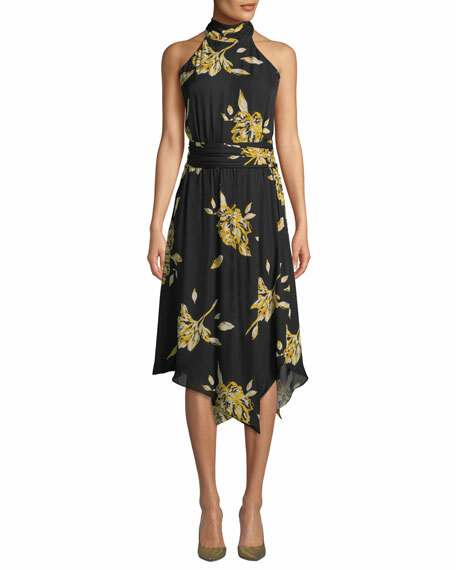 Haute Hippie "Narrow Escape" floral-print silk dress. Deep V neckline; racerback. Thin straps with stud trim. Self-tie belt. Slipover style. Mini length. Lining, polyester/spandex. Imported. Joie midi dress in placed floral print Gathered choker collar. Cut-in shoulders. Sleeveless. Gathered at waist. Keyhole behind neck. A-line silhouette. Handkerchief hem. Silk. Imported.